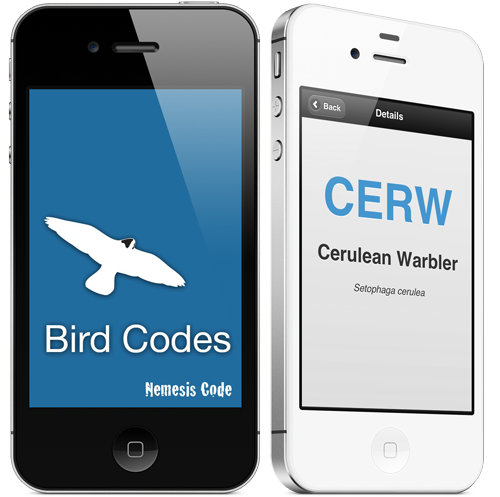 For birders that struggle with listserv postings that use only Alpha codes, this is an essential app. 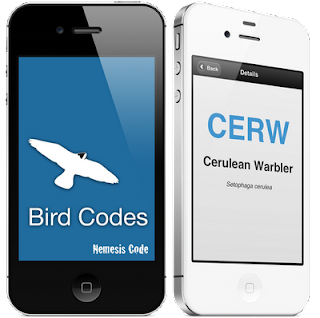 The new Bird Codes app from Nemesis Code helps you convert those pesky alpha codes to bird names and can also convert birds' common names into alpha codes. I especially like that this app offers not just the common names for birds but also the scientific names. If it were not for the inexpensive cost of the app (it's only $0.99), I would be looking for more features. It is simple and straighforward to use and has no glitches that I could find. It is currently only available on iPhone, iPad, and iPod Touch. I would highly recommend this app for the birder that is always lost and confused when people write or speak in alpha codes. *I received this app free from Nemesis Code for the purpose of writing a review.